Step back from your work station, fold your arms and stare at it. If it's not a mess, well, skip this post and read our second post of the day; if it is a mess, keep staring until you come to a state of complete discontentment, take a deep breath and shake things up a bit. The more items you have visible, the more distracted you'd be, the less productive you'll become. Keep your work space to the barest minimum, leaving only your primary equipment and a pen visible at all times. Other items can be brought out as needed and of course, immediately put away after use. Discard trash promptly. Ensure your space is always clean. If you will be having a meal within this space, remember to air it out and clean off any food residue or particles and to use a coaster beneath your cups all the time. Ensure that you have enough light for your tasks, invest in a good desk or standing lamp. Get in as much natural light as you can. Natural light is a great way to stimulate your brain and promote alertness. Use the right colours to enhance your productivity and creativity. To stimulate your mind; blue is recommended, for a creative buzz, try yellow or purple; for motivation for physical tasks, red works; for a calm and serene work environment, green soothes. Also note that the combination of these colors have a combined effect of their stimulating properties. I don't know what it is but when i look at Judah (my plant), i get a little calmer and maybe happier. It might be because green soothes or because i'm easily amused. 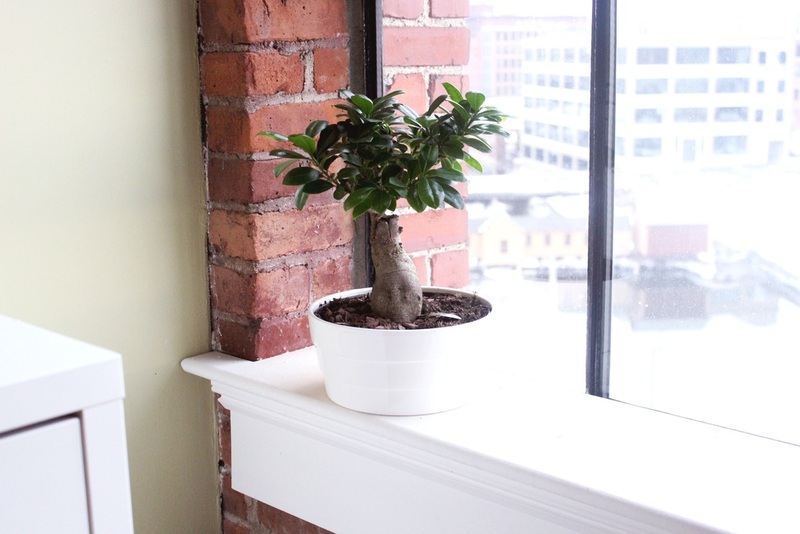 However, table plants and indoor plants are known to improve concentration, productivity and well-being. I guess that's why i get giggly- that and the presence of the dwarfs.